Represented religious institution in lawsuit against contractor related to repairs to campuses damaged by Hurricane Ike. Led prosecution of EPC subcontractor delay and breach of warranty claims in arbitration against construction contractor arising out of gas processing project and defense against contractor counterclaims of loss of efficiency/productivity and disruption. Represented developer and owner of wind power generation project regarding equipment supply, operation and maintenance issues. Led defense of building contractor-project manager against governmental owner asserting breach of contract and negligence claims in multi-party, complex litigation arising out of convention center project. Led prosecution of loss of efficiency/productivity and disruption and delay claims of EPC contractor in arbitration against refinery owner, settling case favorably to contractor-client shortly after formal commencement of proceedings. Defended and obtained settlement for general contractor in litigation against owner, its lending consortium and builders risk carrier involving the alleged differential settlement of 31-story beach condominium and lost investment claim of $125 million. Represented EPC Contractor in 5-week arbitration of disputes arising out of the design and construction of a degassing plant. Represented pipeline owner in the arbitration of claims arising out of the construction of a gas pipeline. Represented EPC contractor in the trial of claims and counterclaims pertaining to the design and construction of a cryogenic plant and fractionation plant. Represented contractor in arbitration of payment and delay claims related to a commercial building project. Represented fabricator in the arbitration of disputes arising out of the fabrication of multiple modules for a floating production storage offloading vessel. Represented contractor in the arbitration of disputes arising out of the construction of modules for an offshore oil and gas platform. Represented contractor in the arbitration of payment, delay and workmanship claims arising out of a commercial building project. Represented contractor in the arbitration of termination costs arising out of a Strategic Petroleum Reserve project. Represented owner in the trial of contract claims arising out of a major public works contract. Represented contractor in the trial of contract and tort claims (including defense of counterclaim) against the owner of a refinery. Represented subcontractor in the trial of wrongful termination claims against a general contractor for the construction of a laboratory building. Represented contractor in the trial of claims against an engineer arising out of a petrochemical plant project. Represented contractor in the arbitration of contract claims against the owner of a petrochemical plant. Represented subcontractor in the arbitration of disruption claims against an EPC contractor of an HDPE plant. Represented contractor in the arbitration of delay, disruption and extra work claims against the EPC contractor of a power plant (cogeneration plant). Represented contractor in the arbitration of lost profit claims against an EPC contractor of a power plant (cogeneration plant). For over 38 years, Bill Andrews has practiced construction law, focusing on construction-related claims, lawsuits, mediations and arbitrations. He has represented owners, contractors, subcontractors, vendors, suppliers and engineering firms on a wide variety of construction-related projects. His experience in claims, trials, arbitrations and mediations includes projects such as highways and bridges, public works projects, commercial and retail construction, industrial and warehouse facilities, hospitals and health care facilities, power plants (including simple cycle and cogeneration plants), pipelines, petrochemical plants, refineries, chemical plants, gas processing plants, cryogenic plants, schools, multi-family housing and environmental remediation projects. He has represented several EPC firms in disputes and claims involving large plants. He also has significant experience representing owners, contractors and engineering firms in claims and disputes involving upstream, midstream and downstream facilities. Bill has tried to verdict and arbitrated to award more than 75 construction cases. Since 1988, he has been a member of the American Arbitration Association’s National Panel of Construction Arbitrators and has served as a construction mediator since 1998. He is a member of the American Arbitration Association’s Large Complex Construction Case Panel of Arbitrators and was selected by the AAA’s National Construction Resolution Committee as a member of its Construction Arbitration Master Panel. 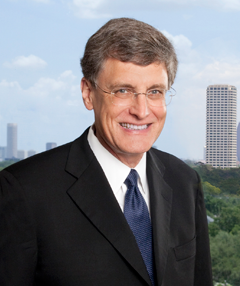 Bill Andrews co-founded Andrews Myers, P.C., in 1990 and continues his career as the named, founding shareholder. For the twelfth consecutive year, Bill received a top ranking among construction lawyers in the state by the prestigious legal directory, Chambers USA, America’s Leading Lawyers for Business.